New Jersey retirement communities are the choice of those who have family living in the area, want an easy commute to New York City or Philadelphia culture, the ocean beaches, enjoy a four-season climate, or may still be working and commute to New York City until they retire. New Jersey is probably the top retirement state on the East Coast outside of Florida. 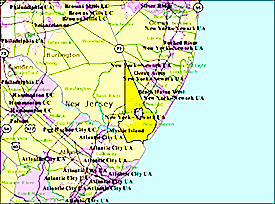 The density of the over 55 communities in Ocean County rivals Florida. By Lennar | Amenities include clubhouse, pool, sport courts and more. | Ranch homes start high $200's. Medium to spacious 2-bedroom ranch homes with fresh designs from mid-$200's. Nearing sell-out. By Lennar. By Toll Brothers - Gated community of large, luxury 2- and 3-bedroom homes from $300's - 13,000SF community clubhouse with many amenities - SAM Award for best clubhouse. 2016 Community of the Year by NJ Builders Assoc. Just go or make appt. to see. By Del Webb - small to large single homes start high $200's - gorgeous waterfall entry - Resort amenties - indoor and outdoor pools. Selling fast. 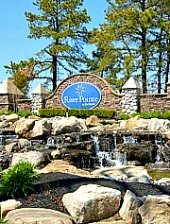 Pheasant Run at Barnegat 609-698-0663 / 219 Pine Oak Blvd. Holiday City Carefree 732-349-1050 / 98 Banamier Dr.
Holiday City South 732-341-8900 / 139 Santiago Dr.
Holiday City West 732-240-4422 / 45 Cabrillo Blvd. Holiday Heights 732-244-8686 / 96 Prince Charles Dr.
Silver Ridge Park (North) 732-286-4868 / 101 Westport Dr.
Silver Ridge Park (West) 732-244-1484 / 145 Westbrook Dr.
Silver Ridge Park Westerly Extension 732-341-6153 / 39 Millbrook Dr. Pleasant Gardens East Veterans Highway @South Hope Chapel Rd. Price: $$ - Single family homes from low $200's - near the beach, parks, Woodlake Golf and Country Club and more - Energy Star qualified. Four Seasons at Harbor Bay - Little Egg Harbor - Gated; Next door to Sea Oaks Golf Club - By K Hovnanian - Large single homes were from mid-$200's - 15 minutes from Long Beach Island. Amenities include heated pools and award-winning clubhouse. Half hour to Atlantic City. Tip: To receive a 70-page booklet that has just about every resource for senior services in Ocean County, NJ. call Office of Senior Services for Ocean County at 732-929-2091/1-800-668-4899. Much of the above list was contributed by the author of our article on New Jersey retirement Nancy Muldowney--see article.